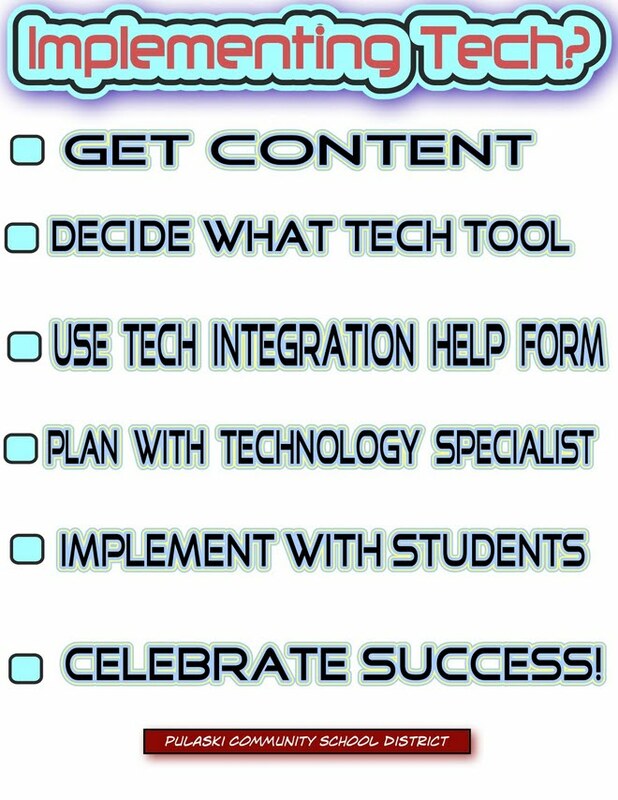 Using a great app, Comic Life, that I learned about from @langwitches , I created a checklist for teachers to remember the process for implementing tech while getting help. I realize that it may be simplistic, but it was the first idea that came to me while using this great tool. I will be sending this in an email, placing it on our best practice site, and printing SOME paper copies to hand out to teachers. I really like how the Comic Life app worked. It was easy to use and allowed for some great font, colors, and effects. While the cost of the app is pretty significant, $4.99, I think it could be a great checklist creation app. 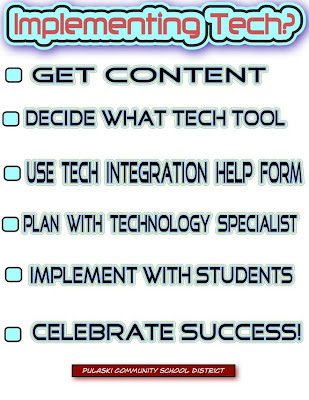 Teachers could create some digital, visually appealing checklists for students on problem-based learning. The sky's the limit for the type of lists that could be made.